Equal access to a flexible and potent computer provides learning opportunities for students who many not otherwise have access to current technology. In contrast to traditional computer-on-a-cart models, where technology intermittently visits a classroom for a special learning occasion, the laptops will be a permanent instructional companion, both in school and at home. Personal device ownership heralds a seismic shift in student learning opportunities. Classroom ecologies will change as we meet students on their own technology-rich playing field and then ask them to up their game. All students, regardless of socio-economic status, will be equal players in a new school ethos. Research indicates that 1:1 programs have considerable positive impact on student motivation. Many 1:1 schools report a decline in discipline issues and measurable increase is student engagement. When we trust our students to take ownership of a personal, customizable, potent and dynamic learning tool, we believe our school culture will fundamentally change as well. Laptops are computational and analytical devices for engineering, math and science. By offering the inherent flexibility of a full laptop, students will develop problem-solving abilities and practice higher-order thinking. These skills are now, more than ever, essential to empowering our students for the new economy and ultra-globalized workforce. The flat-world technology revolution asks us to rethink our notion of what it means to be educated and literate in the 21st Century. However, one traditional skill remains unchanged: the ability to artfully and effectively self-express through writing. Blogs, reports, essays and Tweets; writing across multiple modalities is learning made visual–and a full keyboard is still the most efficient tool to hone this skill. We wish to incite students to direct and take ownership of their learning. Their curiosity should not be confined to the classroom or bound by a locked technology device. 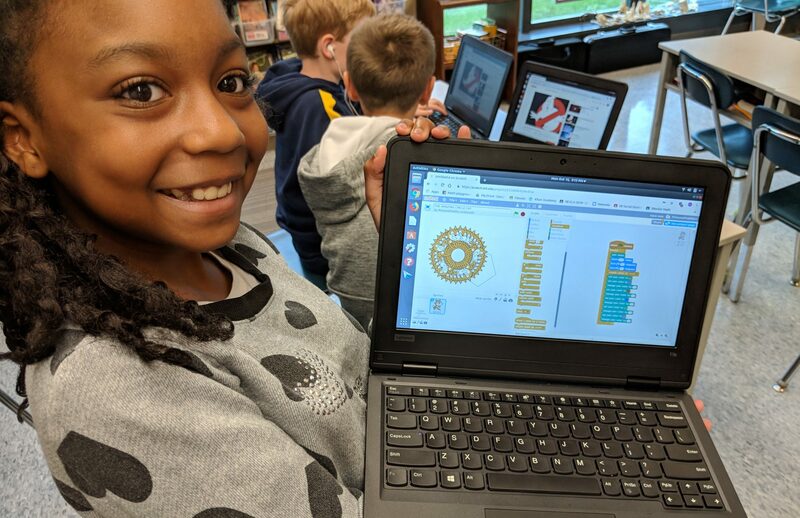 Students are encouraged to tinker with the laptops, spin software knobs, and delve into a powerful set of learning software and creative programs. Exploration and discovery is a key goal of the 1:1 computing initiative. Students are trusted, and given administrative access to their computers. They may install software, explore the operating system, code or even run a local web server. Personal laptops will be a student’s travel companion for his or her entire academic career. Importantly, anytime/anyplace means the lines between school learning and home learning are abolished. With technology access barriers removed, students may work at a time and place of their choosing. Impromptu home learning opportunities are now possible as education moves beyond the walls of a traditional school building.